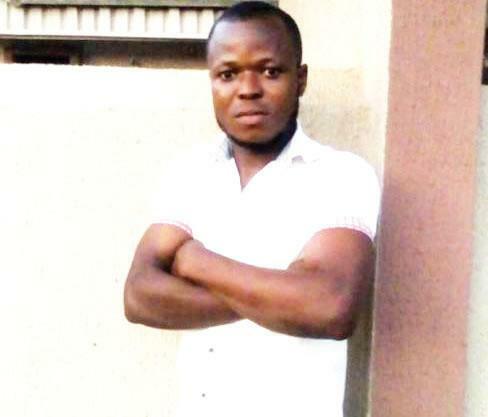 A 26-year-old domestic help, Daniel Ikade, is on the run after he allegedly burgled his boss’ apartment in the Anthony Village area of Lagos and stole $11,000 (about N4m). Ikade, aka Danzy, was said to have broken into the room when the boss, Ebun Akin, a businessman, was not around. He then fled with the cash. It was learnt that the suspect allegedly committed the crime on Friday, February 22, 2018, six months after he was employed through an agent, identified only as Samuel. It was gathered that Akin had planned to deposit the money in the bank the following Monday for the payment of his workers’ salaries. The victim told Punch that when he discovered the burglary on getting home that day, he went to Ikade’s apartment and observed that he had fled. Akin said he went to the Anthony Police Station to report the case, but he was asked to alert the police whenever the suspect was sighted. He said, “I left Daniel (Ikade) at home that day while I was leaving home. I forgot to lock my apartment, but the wardrobe was locked. I was shocked when I returned home in the evening and met my wardrobe broken. I kept $11,000 there. I discovered that the money had been stolen. “I went to his room and noticed that his telephone was on the bed but he had removed the SIM card. He left all his belongings behind as well as a diary containing phone numbers of his close friends and family. The money was meant for the payment of staff’s salaries. Akin explained that he subsequently reported the case to the Inspector-General of Police Intelligence Response Team in Lagos, adding that the team had yet to track down the suspect. He said Ikade was last seen in the Ikorodu area of Lagos State but was said to have fled to his town in Ogojo, Cross River State. He noted that the telephone lines of the suspect’s brother, Bertland, and one Emmanuel Ochim, who stood as guarantors for him, were unreachable. He said “Attempts to locate Daniel (Ikade) have been abortive. His guarantor, Bertrand, who happens to be his elder brother, has also switched off his phone. I visited his (Bertland’s) house in Alago Erunwen, Ikorodu. I learnt that he had fled the neighbourhood since the incident occurred. The Force Public Relations Officer, ACP Jimoh Moshood, said investigation had commenced into the matter.